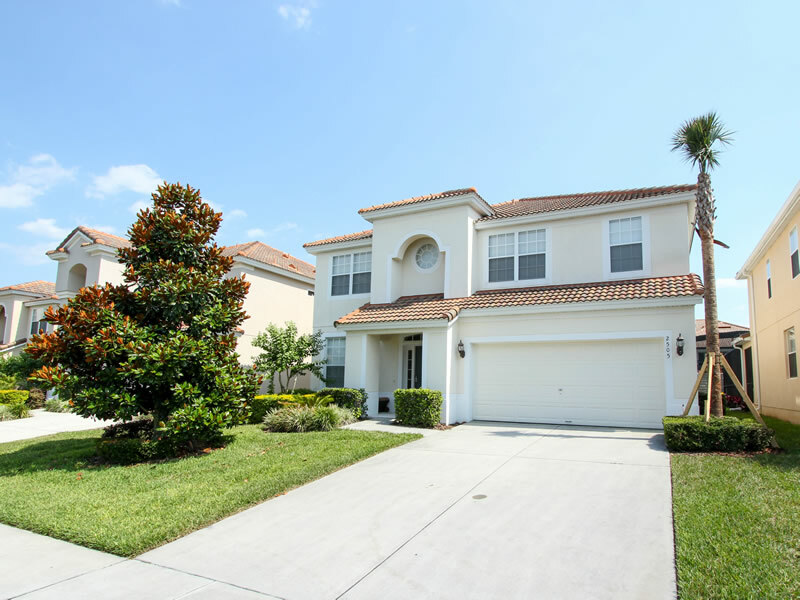 his spectacular 6 bedroom 4 full bathroom villa has everything you’ll need for your next vacation. 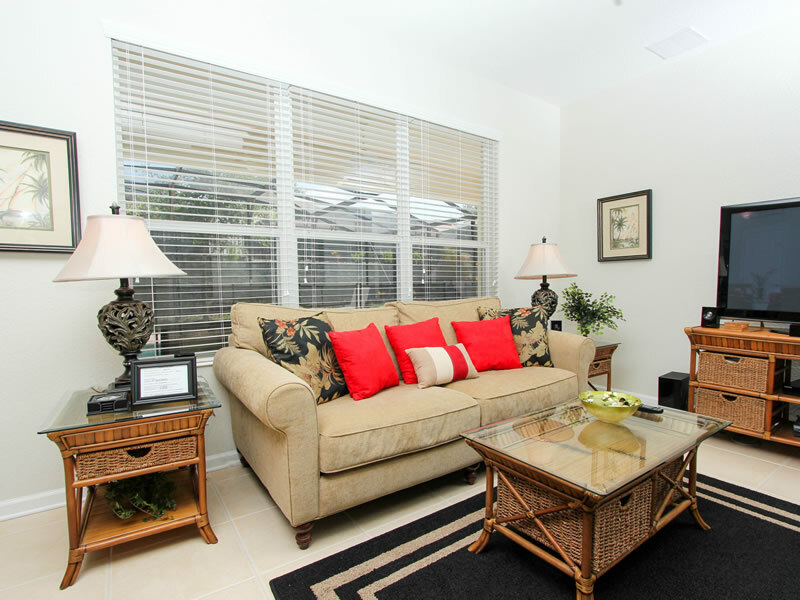 The villa provides 2812 square feet of comfort. 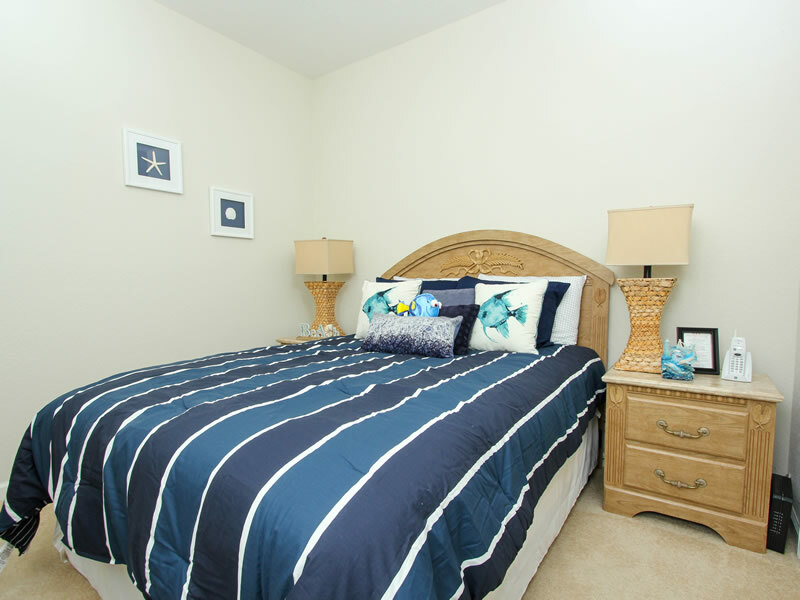 The villa contains all high end furnishings. 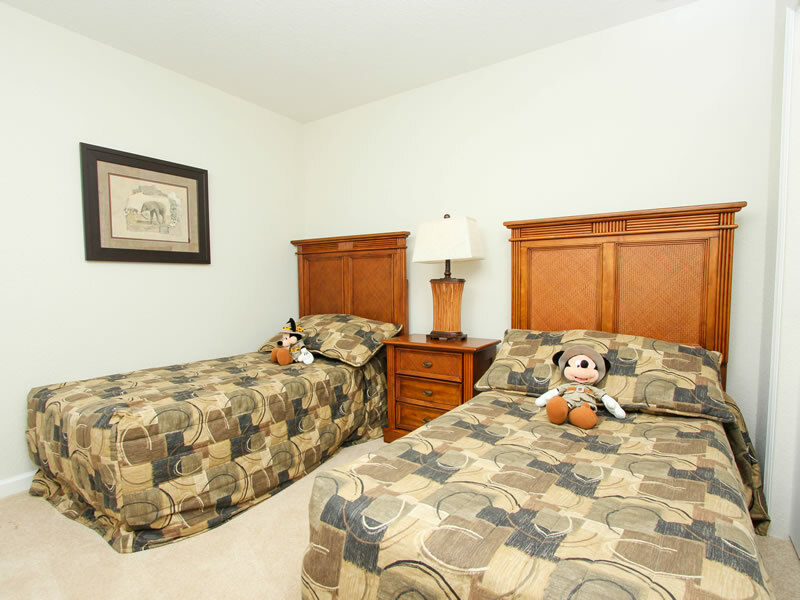 There are 2 king en suites, 2 queen bedrooms and 2 sets of twin beds that sleep 12 comfortably. 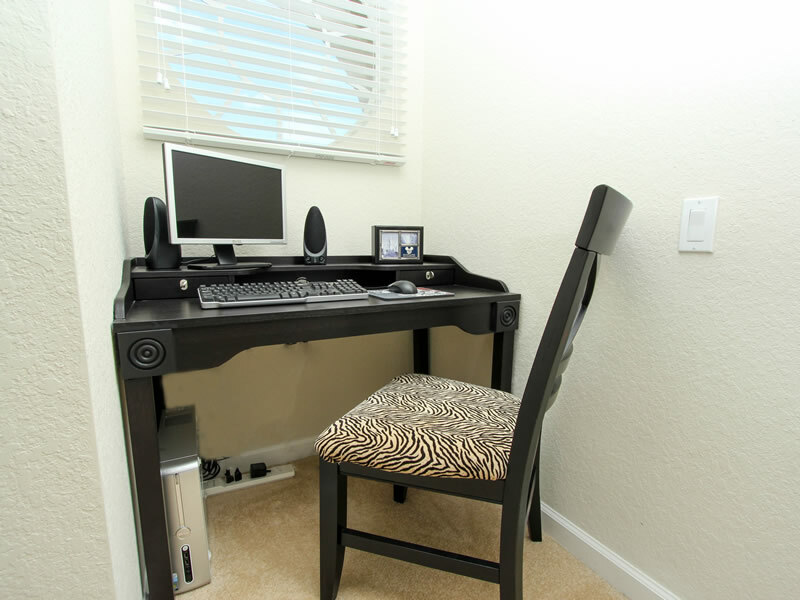 There are flat screen TVs with cable in each of the bedrooms and wifi throughout. 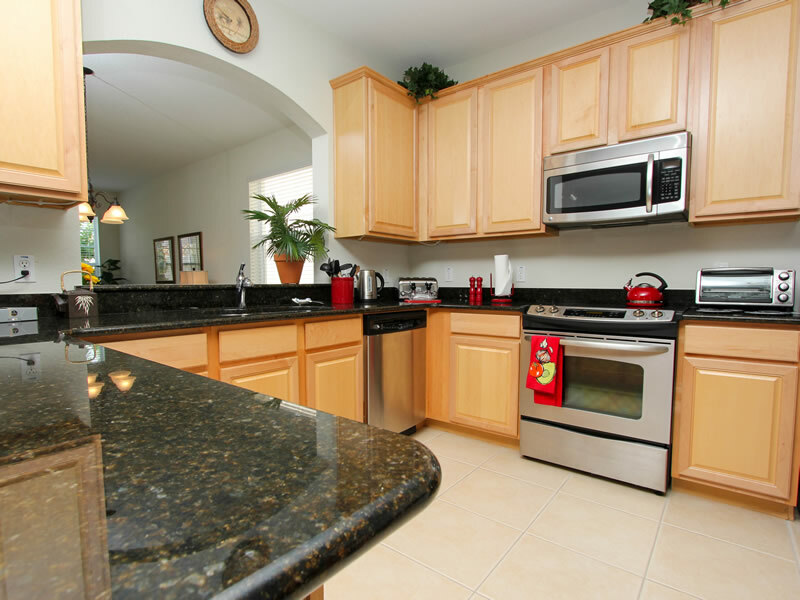 The eat-in open concept kitchen has granite countertops along with a breakfast bar and stainless steel appliances. There’s also a coffee maker, Keurig, toaster, toaster oven, blender and microwave. There are two living rooms. 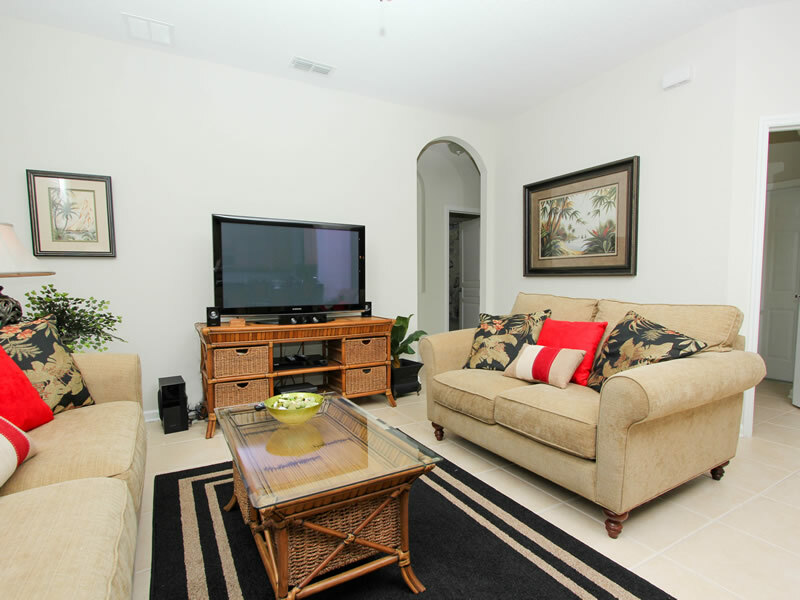 The living room that is open to the kitchen has a plush couch and love seat and also includes a 50” flat screen TV. 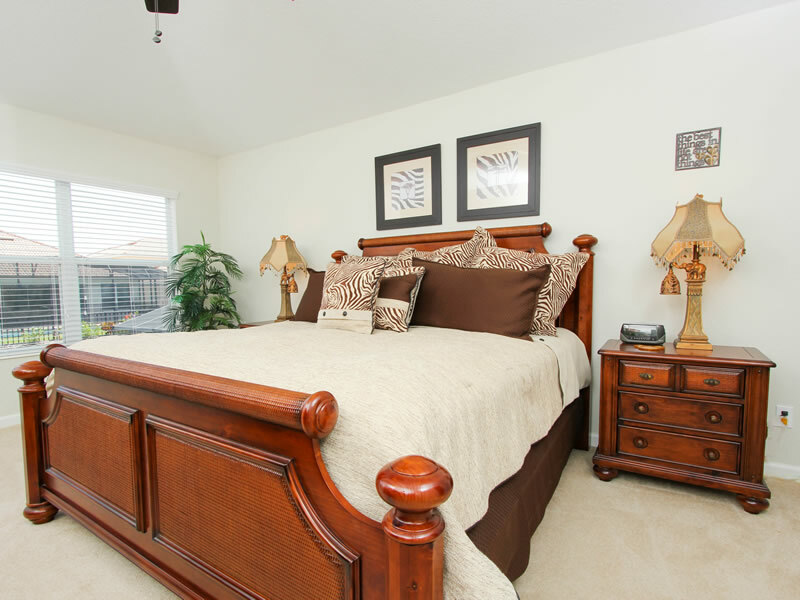 These two rooms also have a great view of the pool. 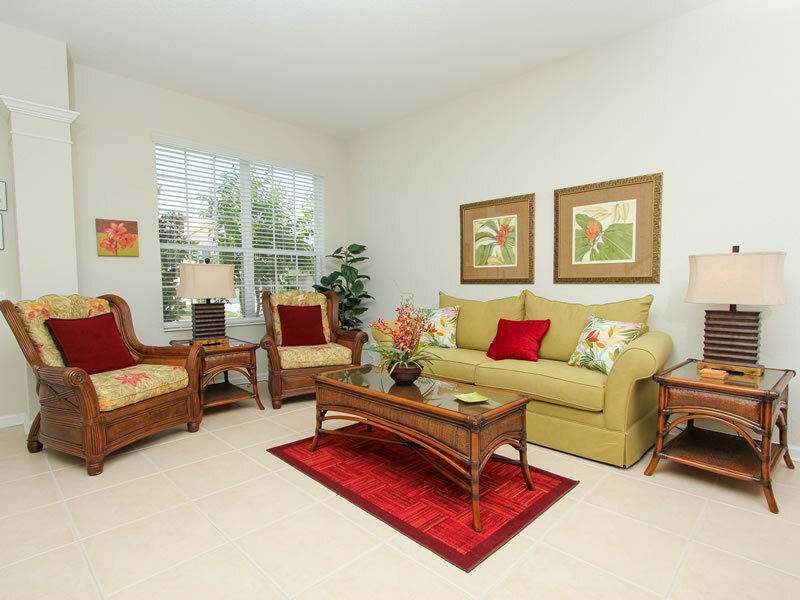 The second living room has a couch and chairs and is open to the dining room. 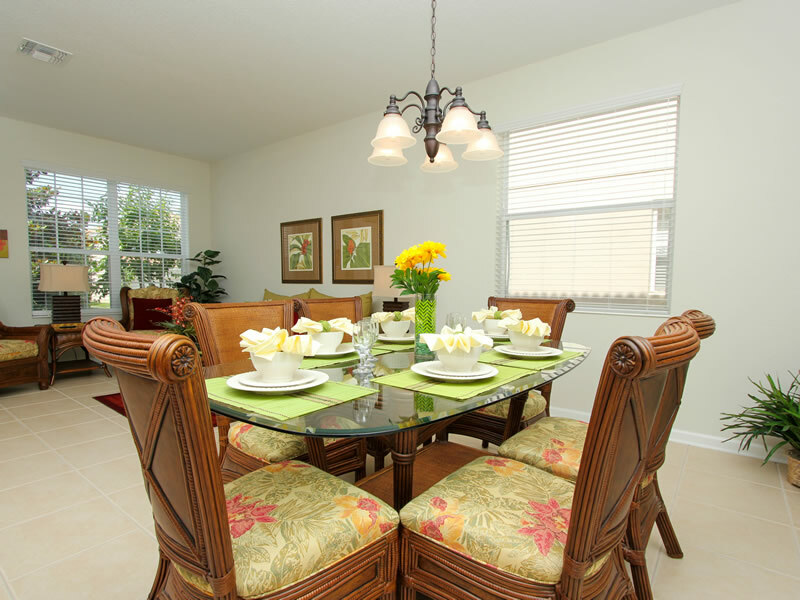 The dining room has a large table so your family can sit together and enjoy their meals. Relax outside lying on one of the many lounge chairs by the SOUTH facing pool while enjoying the sun as this pool is in the sun all day long! 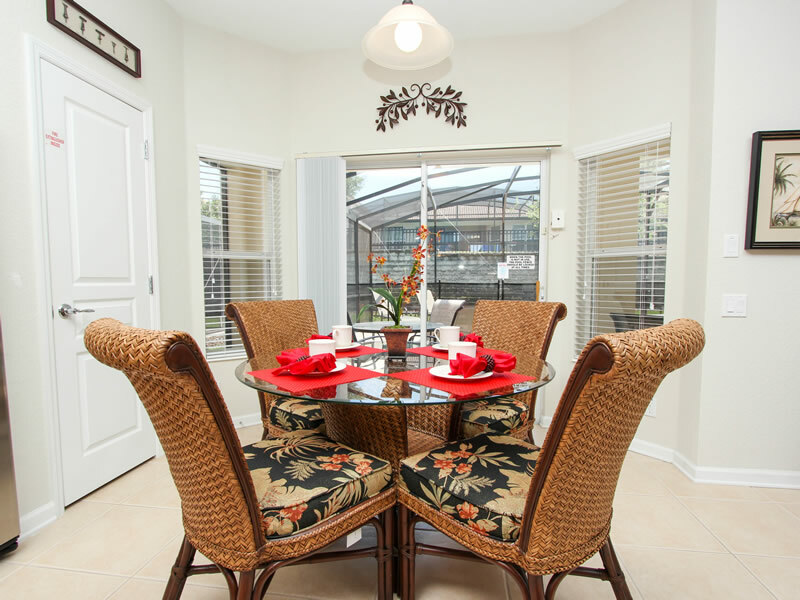 There is an extra large, extended screened in lanai. 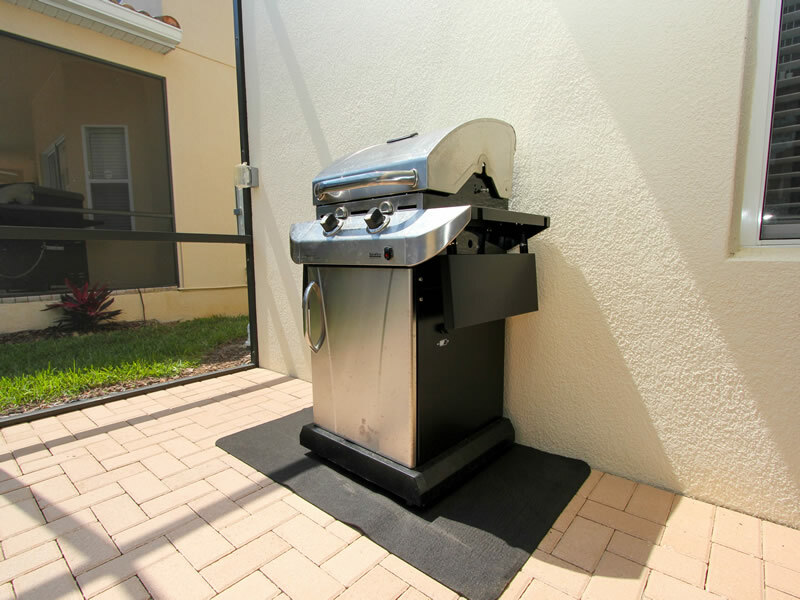 There is also a grill for your cooking enjoyment. Behind the pool there is a retaining wall that adds to the privacy in the backyard. 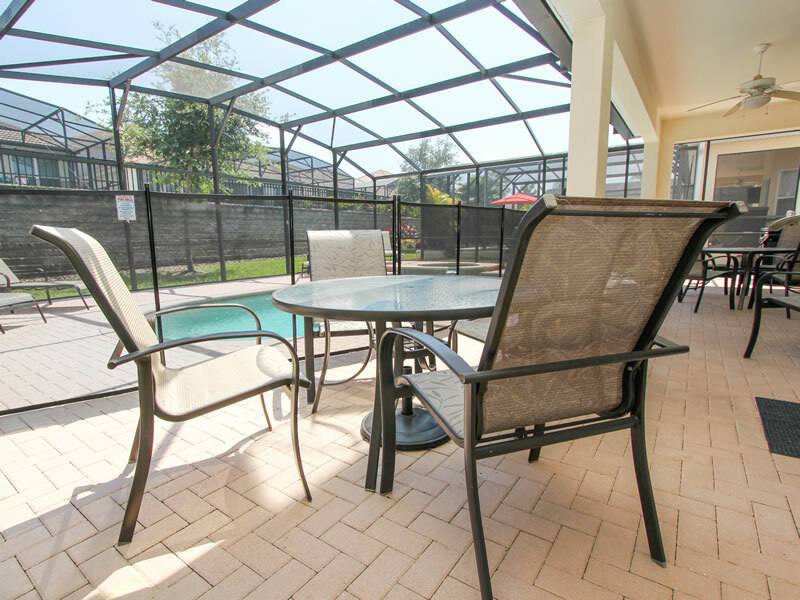 Around the pool there is a child safety fence and for added safety there is an alarm on the patio door that leads out to the pool. In the laundry room there is a full size washer and dryer. 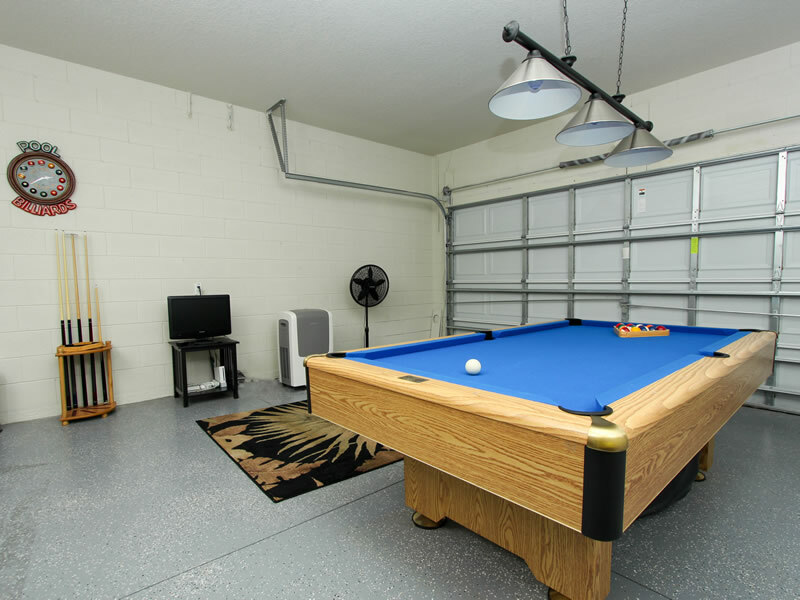 Off the laundry room there is a wonderful game room for the kids and adults with a pool table, dartboard, air hockey table, wii system with games and a couch in front of the TV so you can relax and enjoy the fun! For the little ones, there’s also a portacrib and highchair for your convenience. 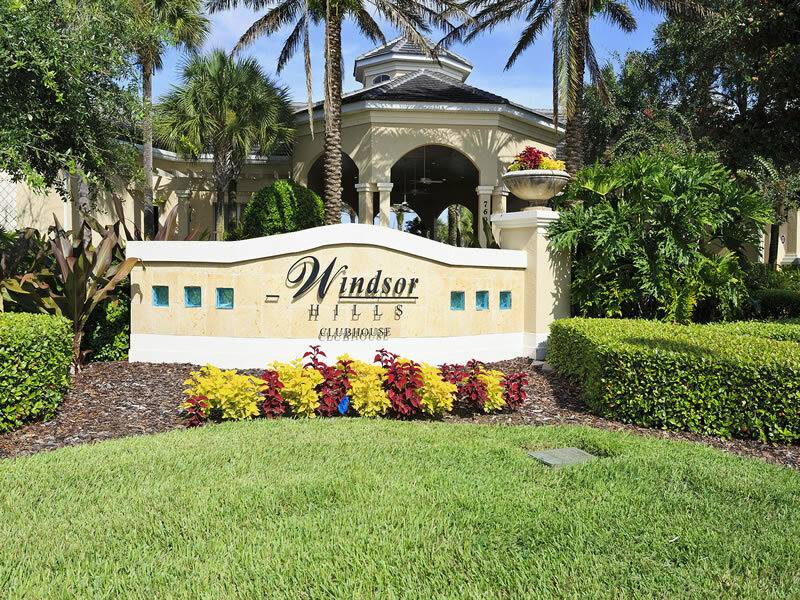 Windsor Hills is a highly sought after vacation community with a huge lagoon style pool that includes a water slide, hot tub, arcade, fitness center, 40 seat movie theater, tennis, basketball and even a full serve Tiki bar! They off shuttle service to Disney, Sea World and Universal. There is also a small store located right on the property of Windsor Hills for all your essentials including beer and wine!